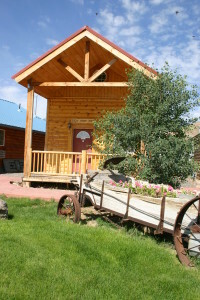 The Dew Drop Inn is named after one of old Miner Cabins in Bullion Canyon. And it is still there, if you know where to look. 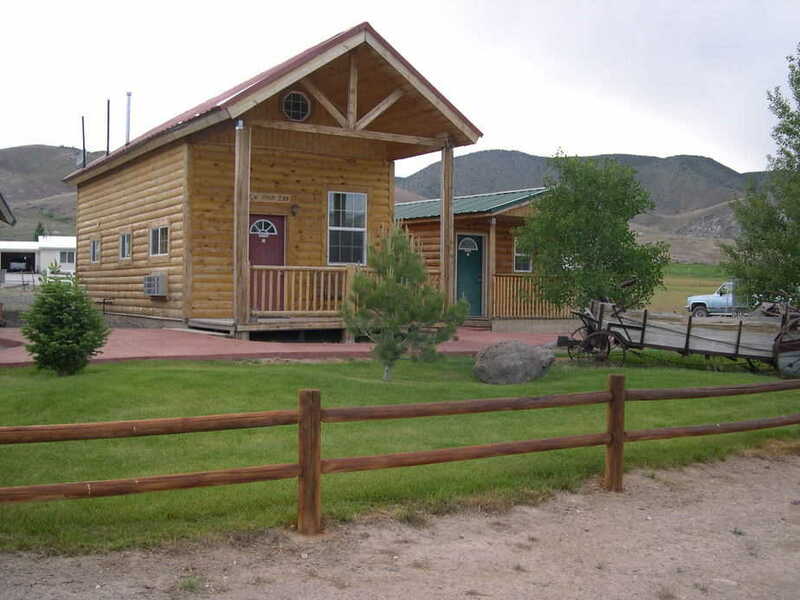 This cabin is great for the family. 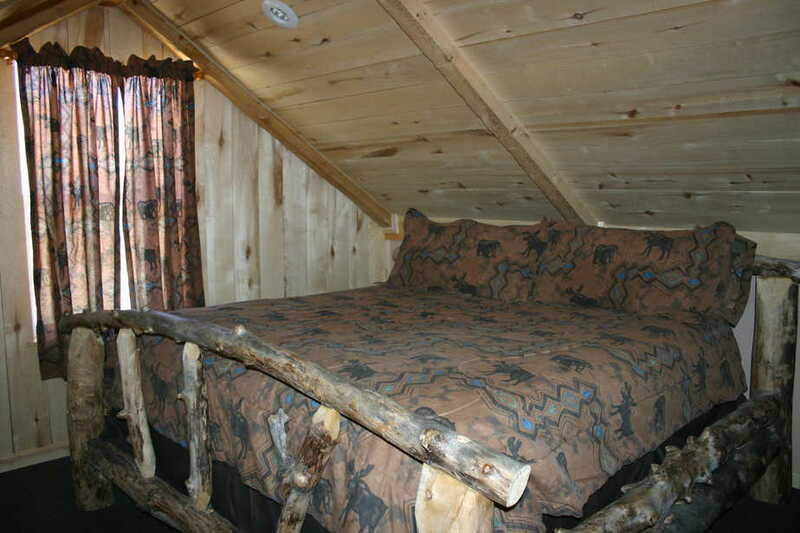 Mom and Dad can sleep upstairs in the loft in a huge King size bed made with real Aspen logs timbered right here from the hills of Marysvale. 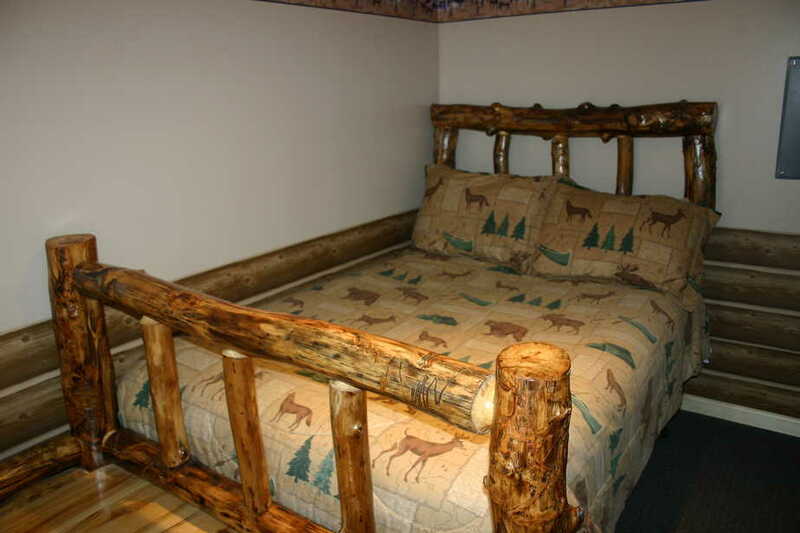 There is a queen log bed by the kitchenette and a full size log bed in the back in a separate room. 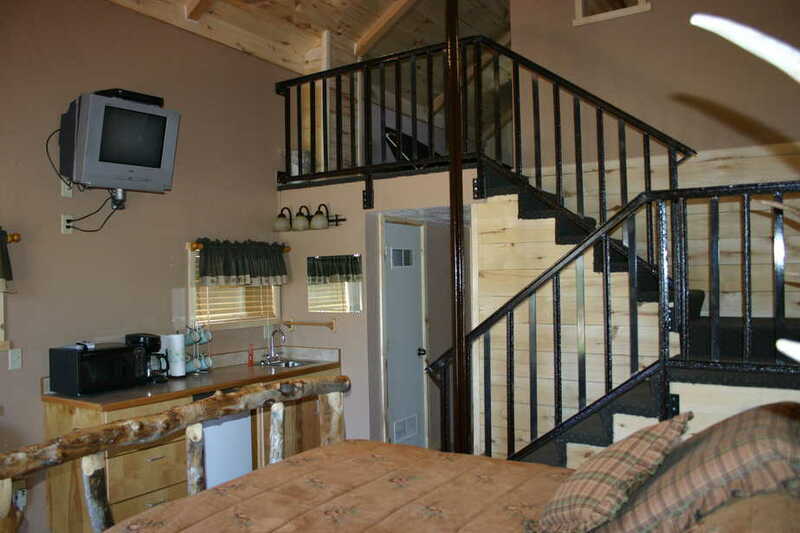 It has full bathroom with a shower, wet bar, microwave, mini fridge, coffee pot, AC and Direct TV in two areas. This has been our best rental, so reserve quick or you may miss the mother load. Also enjoy our covered pavilion that has a gas barbeque and gas griddle for you cooking needs. All rooms have towels and linen. Incredible views included. Room rates are for double occupancy. 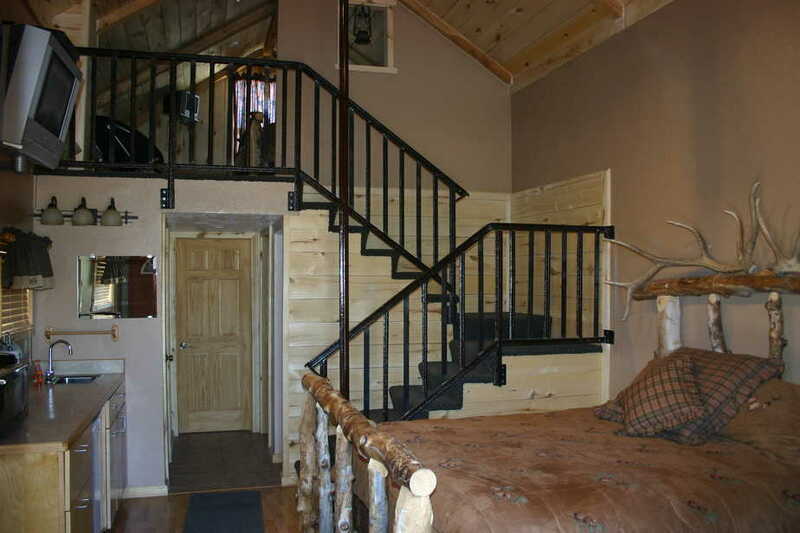 Rates are adjusted according to occupancy. Book the Dew Drop Inn Now! Your next vacation is just a click away.